"Our team relies upon knowledge and experience, to achieve a successful outcome for our client's." Since 1982, David has acquired broad experience in project planning and management, development, marketing, and commercial real estate leasing and sales. He joined G2 Commercial Services as a Managing Director & Member in 2011 and is one of its most experienced agents, consistently leading his peers in brokerage activity. 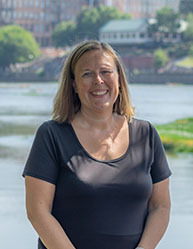 In 2011, David and his partner Jack Hayes established G2 Commercial Real Estate in partnership with Keller Williams Realty River Cities to operate and manage the KW Commercial division. Since that time, G2 Commercial has developed multiple retail centers, office buildings, and renovated several multifamily, office and retail centers. In 2018, G2 Commercial officially became a member of the NAI Global network, a leading global commercial real estate brokerage firm. The NAI Global has more than 400 offices strategically located throughout North America, Latin America, Europe, Africa and Asia Pacific, with over 7,000 local market professionals, managing in excess of 425 million square feet of property. Annually, NAI Global completes in excess of $20 billion in commercial real estate transactions throughout the world. Among other duties, David has served as Chairman of the Columbus Board of Realtors Commercial Committee, Chairman of the Columbus Board of Historic and Architectural Review, Chairman of the Stewart Community Home, Chairman of The Carpenters Way Ranch Board of Directors, the Board of Trustees of The Methodist Home for Children and Youth, and as Chairman of The River Club Executive Committee. 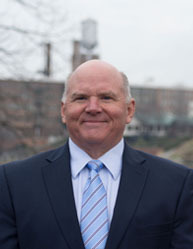 He currently serves on the City of Columbus’ Planning Advisory Commission and the Our House Advisory Board. David is a member of the Greater Columbus Chamber of Commerce, serving on the Education and Workforce Development Committee, and is an active Leadership Columbus Alumni. 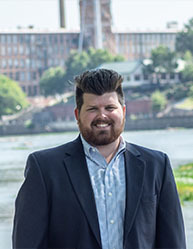 He is licensed as an Associate Broker in Georgia and Alabama, and also as a Registered Architect in Georgia. David earned a Bachelor of Architecture with a Management Minor from Auburn University in 1984. He received his real estate license in 1996 and Associate Brokers license in 1999. His background gives him a unique and value-added perspective in evaluating and successfully marketing a property for his clients. David’s primary focus and expertise are industrial and office property, and land sales. Among the clients and companies David has successfully served are AFLAC, Columbus Bank & Trust, Columbus Regional Healthcare, Berry/Covalence Plastics, Hallmark Cards/LithoKrome, Kodak/Polychrome, Marubeni Denim, Penske, Royal Crown Bottling, Russell Corporation, Strayer University, SunTrust Bank, Swift Spinning, Synovus Service Corp., TSYS and WestPoint Stevens. David Johnson serves as the Qualifying Broker and Director of Compliance for G2 Commercial’s property management services. 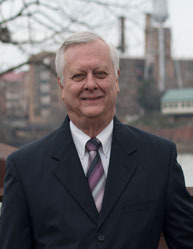 David has been in the commercial real estate industry since 1996 and is a registered architect in the State of Georgia. As the Qualifying Broker and Director of Compliance, David is responsible for compliance with all applicable state laws related to brokerage, property management, and escrow/trust accounts. David is also is responsible for instructing property management and administrative staff on administrative and compliance procedures as well as internal policies related to G2 Commercial’s rules and regulations. 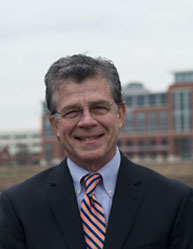 David earned a Bachelor of Architecture with a Management Minor from Auburn University in 1984 and is a licensed architect in the State of Georgia. 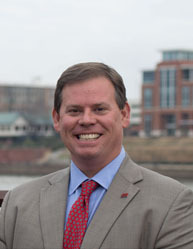 He is also is a registered broker in both Alabama and Georgia. His background gives him a unique and value-added perspective in evaluating development projects. David provides construction management services and broker opinion’s of Value (BOV’s) as well as 3rd party entitlement services related to permitting and zoning.